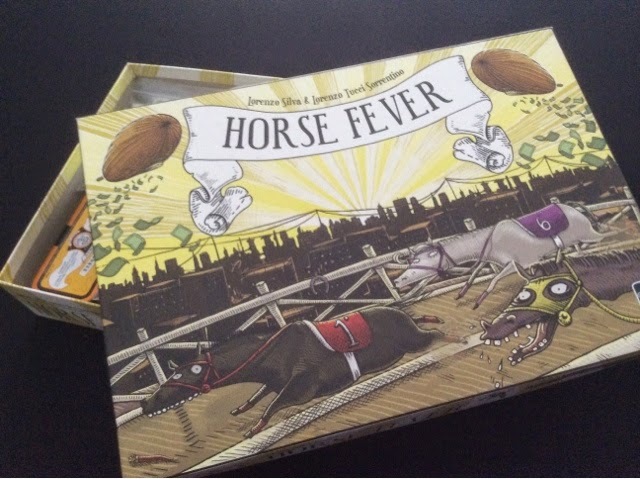 Horse Fever was the first game in my collection that I pimped. 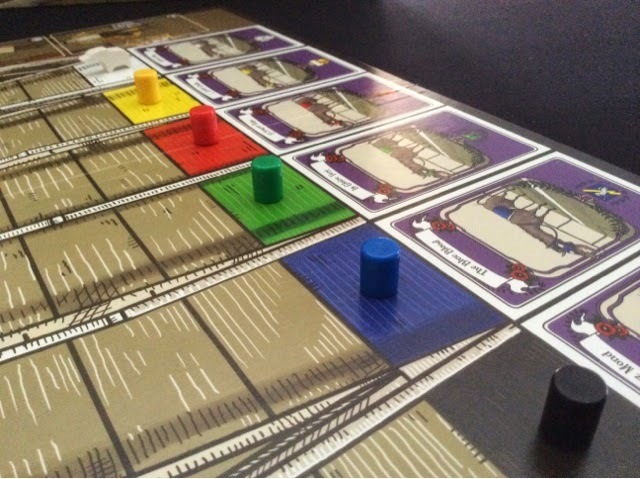 I very much enjoy the betting and gambling aspect of the game and how players could influence the outcome of the race via action cards and other cunning means. 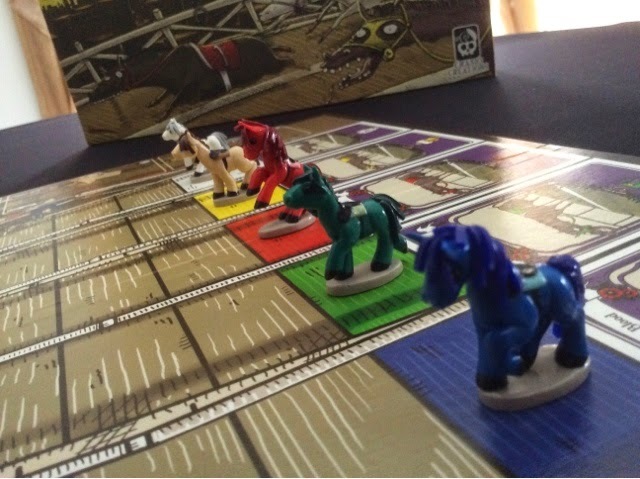 I wasn't very happy with the cylinder "horses" that came with the first edition of the game. They totally knocked the theme of the game many notches down. 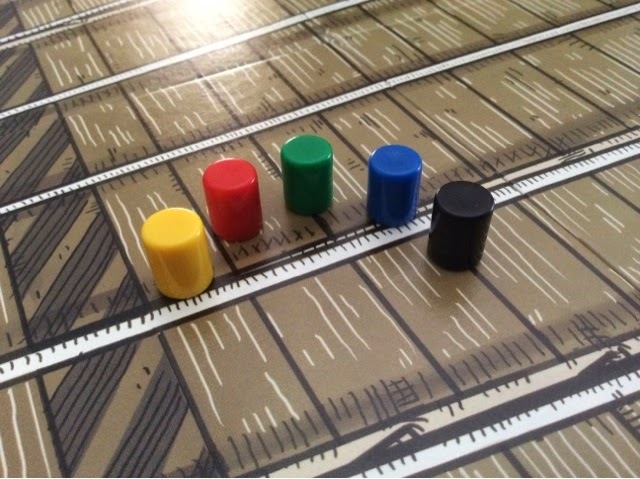 I believe the publisher noticed that too and changed the cylinders for the 2nd edition of the game. 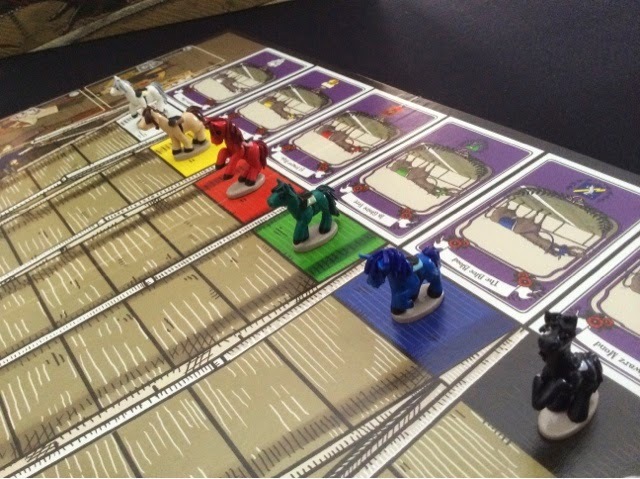 In the 2nd edition, players now get wooden horses! 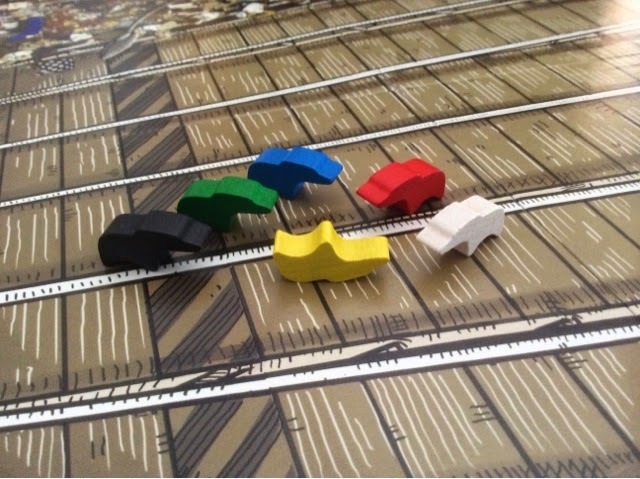 Had I initially purchased the 2nd edition of the game, I would have been happy with the wooden horses. Unfortunately, my copy was the 1st edition, and I had decided to pimp it before the 2nd edition was announced. 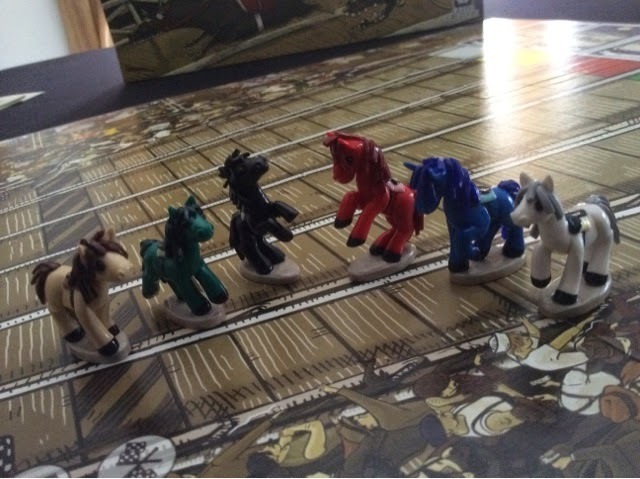 Well, I don't think I should say unfortunately, I think it was a good thing cos my "real" horses definitely gave life to the theme and has positively influenced not just the gameplay but also the overall excitement that the players draw from the game. Pimped Horses Group Shot ! Two of them have already been given names against their will. The green horse is Spinach and the black horse is Zozo. Haha. Whatever. They cost me quite a bit but I am very happy with how they turned out. It may be hard to see from the picture but they have quite a lot of detail and their mane is very finely done. I think my favorite is possibly the red "Ferrari" horse. Haha. Well, expensive thrill but whatever. That being said, I do need to take this game out again soon. It's been awhile. I also pimped the money. It was paper money and everyone knows paper money is simply not acceptable. Bought a deck of card money in the end. Money well spent on money. Entry number 1 done. Stay tuned for the next one! 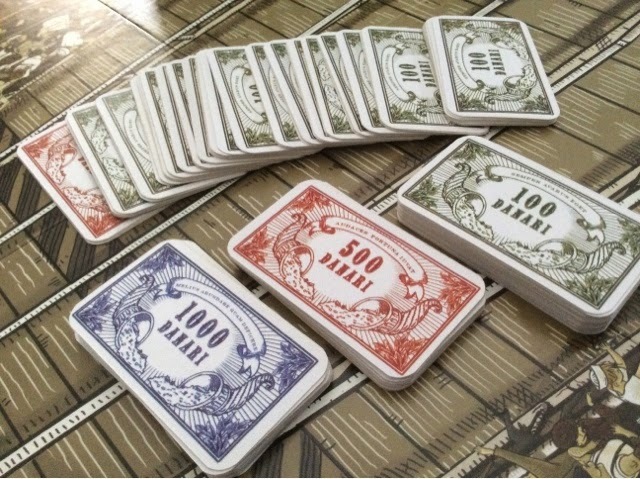 Where did you get the nice money cards? Looks neat! 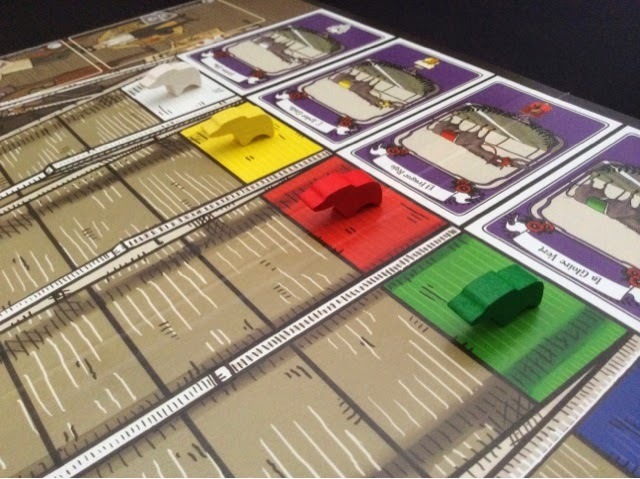 I just submitted a deck to printerstudio, my first time. Will let you know if their quality is just as good ! Cool! Can't wait to see the quality of those! I want to pimp my airlines europe's money as well.